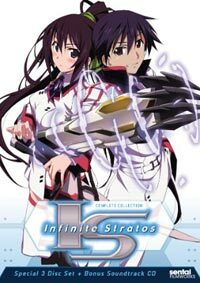 Infinite Stratos are a technological breakthrough that allow people to assume an exoskeleton that gives them immense power. The inventor decides to distribute the 400 or so IS cores equally to the nations of the world, who agree not to use it for combat. IS technology is unusual in that only women can pilot the things. Until now. Ichika Orimura is found to be the only man in existence (so far) who can control an IS, and is compelled to attend the all girls IS piloting school. Needless to say Ichika becomes popular. Infinite Stratos is a title which abandons character development, has an idiotic premise and has no meaningful plot. 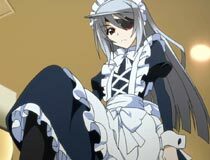 What kind of revolutionary idea does Infinite Stratos have in store for us that it would forsake everything considered essential to a good series? A harem anime. Yeah, it basically trips all over itself like a blubbering idiot to deliver yet another formula harem, and doesn't even do it very well. Infinite Stratos moves past the harem concept being distilled to a formula, and basically assembles itself like Lego pieces from a bucket of generic anime stuff. Even by that description, I would have expected something better constructed than this. 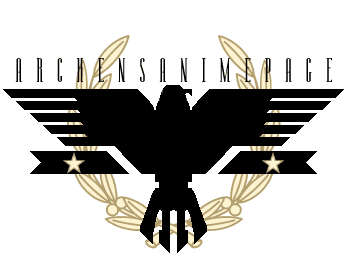 There are mecha power suits called Infinite Stratos (IS) which, for reasons unexplained; can only be controlled by women. A treaty states IS suits are to be distributed equally among nations of the world. Are you buying that? Yeah me neither. It's also agreed they'll only be used for "sports" (and piloted by teenagers?). The exception is this ONE guy because, like everything else; that's just how it works. My theory is that Ichika isn't a guy at all, or is certainly gay. I understand the appeal of shows with gobs of girls fawning over a guy, but Ichika is so oblivious to them I found it off putting. The female cast is a tired array of stock anime girls that have been done before, and better. 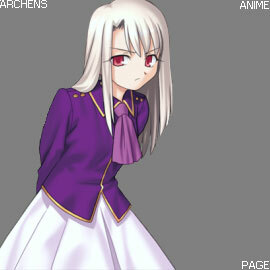 They perform the expected harem anime tropes, but are mainly preoccupied with fighting over the only man they can. The action is usually conductive to this point, things fly around in glitzy sequences so that inevitably Ichika can save them. Did I mention he's must miraculously a fantastic pilot? Others require work, study and practice. Ichika is simply gifted with this ability. Don't even get me started on the "plot". I don't want to give the impression it's completely terrible though. When the second season came, I watched it because I wanted to. Sure it's dumb, and kinda tired, and Ichika is annoying, but it's amusing and interesting enough in its own harem sort of way. The second season (12 episodes) is basically more of the first. Bad plot, cute girls, pointless action. It also introduces annoying characters the show would be far better off without. 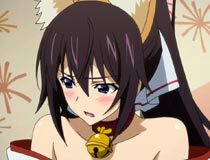 On the plus side, the Chinese girl kinda grew on me, and the ponytail girl had fox ears in one episode which was beyond adorable. Conclusion: Only Russia can save us from "forbidden love". To sum it up, Infinite Stratos is pretty bad... but at least it looks nice. It retreads typical harem antics, mostly consisting of girls squabbling over the clueless guy. It's the guy and the total nonsense setup/plot that's most annoying about this one. If you're fine with harem shows, and can overlook these problems because of cute anime girls, it's watchable. Better to avoid otherwise. Chifun: A real woman needs the right attitude to get a man. Try to get to my level kids.